Often people will make a serious investment in their artwork but neglect how they are going to light it. Darker images in particular will benefit greatly from a direct light source. 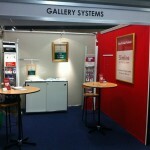 Why not talk to the professionals at The Gallery System for advice in this area. We can advise you on whether or Art Lighting System will work for your circumstances. Light wands simply lock onto the track where required to light up your art.The beauty of our Art Lighting System is that the one track both hangs and lights your precious artwork! The Art House Wyong opened in April 2016. 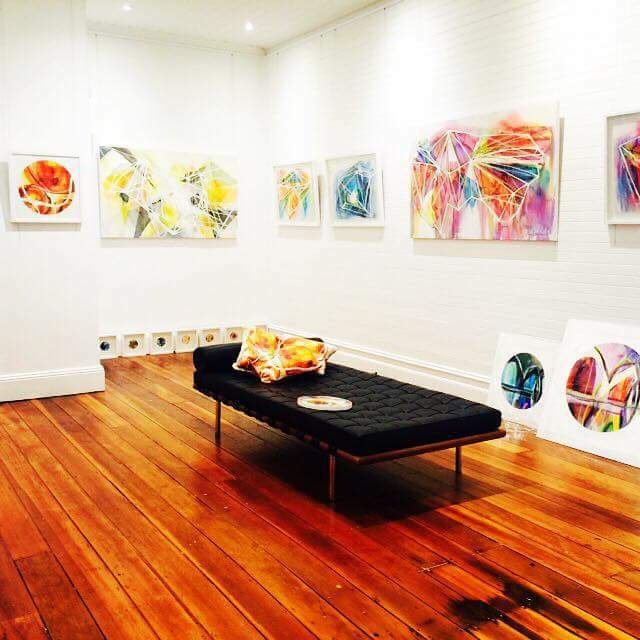 Fitted with The Gallery System Standard Art Hanging System throughout. The Art House opened in April 2016. It offers a diversity of arts, entertainment and cultural opportunities, with the vision of providing a professional performing arts space on the Central Coast for local artists to showcase their talent and facilitate touring and commercial productions. Nadine Wagner has moved Wagner Contemporary to Hampden St Paddington and installed The Gallery System’s Slimline Art Hanging System throughout. 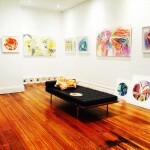 The vibrant Scolari Gallery in Balmain opens using our Slimline Picture Hanging System throughout. They are also using our Picture Rail Hangers utilising the original picture rails in place in some parts of the beautiful old building. This type of art hanging Display generally involves lots of damage to walls, which need to be patched each time the display is added to. Our Slimline System is perfect in this application, allowing maximum flexibility to add or remove pictures as required. Wherever possible, use two hangers and hooks per artwork. This is particularly important with larger pieces to spread the weight load and give stability. Ensure that the wire or “D” rings are no more than one third of the way down from the top of the painting to prevent the art leaning forward on the wall. Tensioning weights are available to anchor artwork and help prevent the problem of small images leaning too far forward. Another way to prevent these images tilting is to use a small piece of velcro to secure the hanger to the top of the picture frame. Art is often placed at eye level although pieces should also be placed in relation to what’s under and around them. Above mantelpieces art should be hung with the bottom of the painting about 10-cm above the mantelpiece. Our Traditional Picture Rail Hooks come in Brass or Stainless Steel for a traditional or contemporary look. For use with existing picture rails found in traditional style buildings.